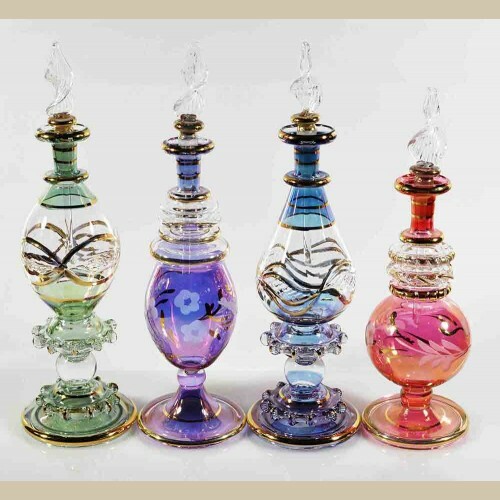 This set of 4 pieces of small perfume bottle comes as an additon to yout decorations. Each bottle can also be filled with 10 ml of perfume. The bottles will be delivered exactly in the same color and design of the picture. Quality Guaranteed or money back. Height: Approx. 20 cm, Radius: Approx. 6.5 cm depending on the design of the bottle. 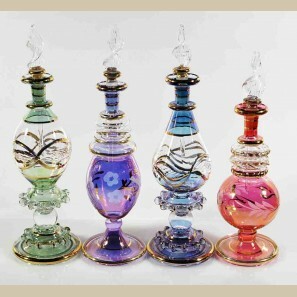 This set of 4 pieces of small perfume bottle comes as an additon to yout decorations. Each ..